Feel free to tell us all your needs and desires for your new property. Our new home construction company gladly tailors every aspect of the project to accommodate your tastes and the requirements of your whole household. We also understand that it's important to incorporate your personal style into the design of your home. Thanks to the expertise and techniques of our new home contractor, we give you an original home within 30 days. Practical floor plans, energy-efficient windows, and tailored design aesthetics make up just some of the benefits of choosing our new home construction company. We combine the quick turnaround time of a pre-manufactured home company with the customization options of a luxury home designer to give you the craftsmanship you desire within 30 days. The pre-assembled modular builds we use during the new home construction process arrive on the work site only after thorough inspections. This ensures the structures are energy-efficient enough to successfully insulate air and heat properly, as well as remain free from the possibility of mold. 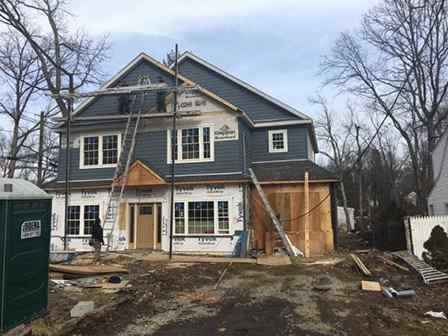 Using these builds throughout the new home construction process gives us a reliable foundation on which to display our experienced crafts people..